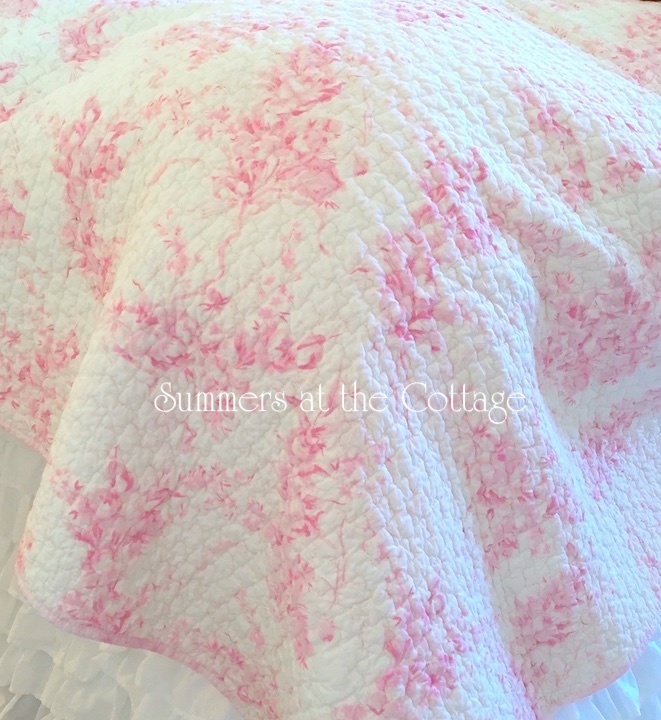 Soft watercolor bouquets of pink roses on a creamy white background flow across this gorgeous quilt. 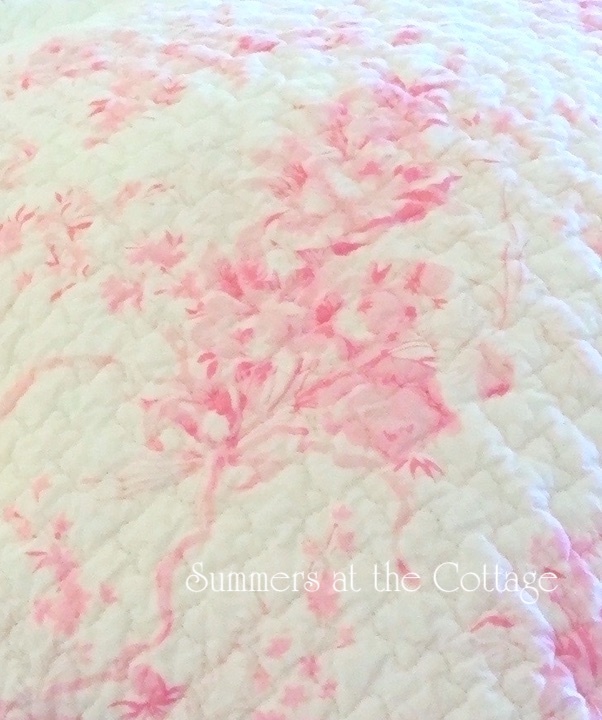 With a pretty swirl quilting pattern makes this quilt lovely and unique. Reverses to powder pink flowing clouds mixed with white. Gorgeous and perfect with our Dreamy White Ruffled Bedskirt (available in our Bed Skirts section! This 100% cotton quilt measures 90 x 90 inches. Cotton inside and out and machine wash and dry.